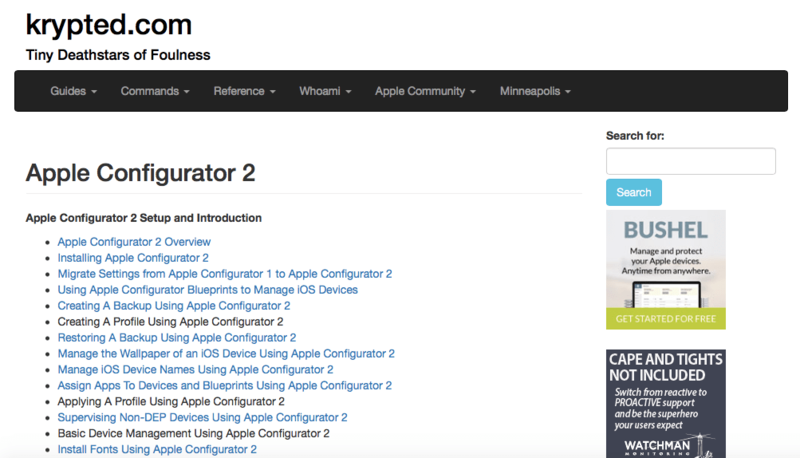 Apple Configurator 2 is a great new evolution in iOS initial and configuration management. And there are lots of great options. And to help you wrap your head around all this new fun stuff, I’ve written up a quick and dirty guide for using Apple Configurator 2. It’s not completely done, but it will be shortly. Hope this help someone. Enjoy!